Aviation Updates Philippines – Hong Kong-based Metrojet Limited; a business aviation service provider with presence throughout Asia Pacific, today commenced the building of its regional expansion project – a state-of-the-art business aviation parking and maintenance facility in Clark, Pampanga, Philippines – planned to be operational in Q2 2020. NEW WORLD-CLASS MRO FACILITY. 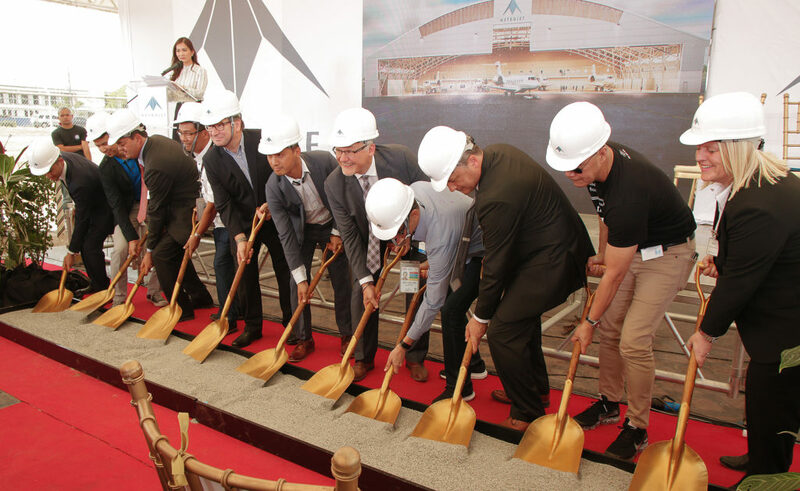 Metrojet organized a groundbreaking event for its new facility to be set-up at Clark International Airport, Philippines. Photo from Metrojet Press Release. With a 50-year lease contract, Metrojet Engineering Clark today broke ground to officially commence the construction for this new aircraft parking and maintenance facility, with the hangar being constructed by Aircraft Support Industries (ASI) under a design-build contract managed by MERx Construction.